DVRPC’s Office of Corridor Planning is looking to hire a Transportation Planner/Engineer! Click here for the full job listing. DEP currently has 47 internship opportunities available in 8 different counties. 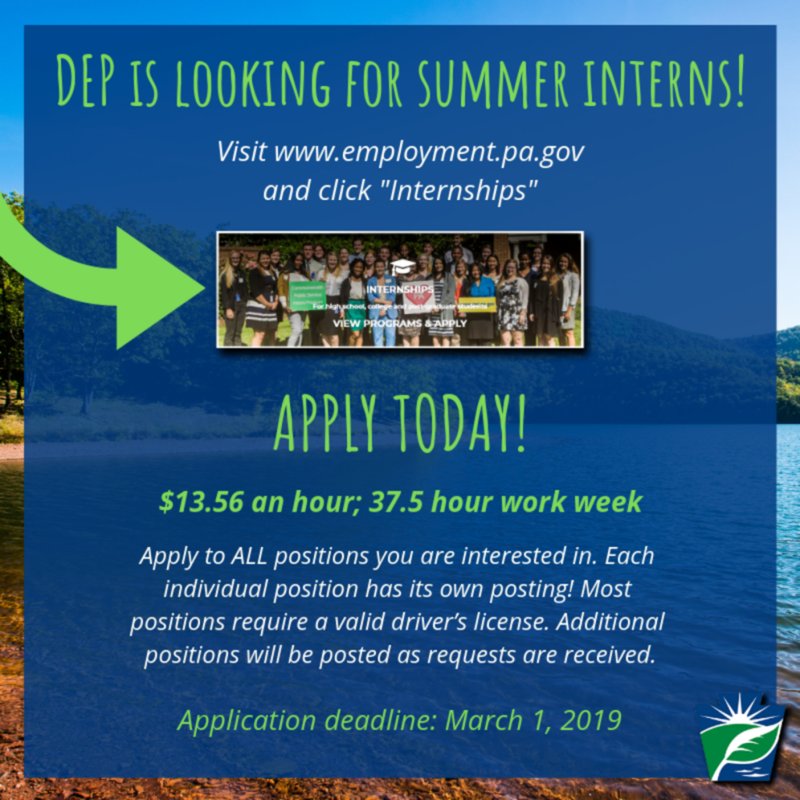 DEP Internships provide an exciting opportunity for students to learn about and assist with the environmental protection activities of various program areas within the agency. Most positions require a major with 24 credit hours of study in the sciences or engineering. Join us as we work towards our mission to protect Pennsylvania’s air, land, and water from pollution and provide for the health and safety of PA citizens through a cleaner environment! DEP internship opportunities will close on March 1, 2019 so don’t wait until the end of the semester. Apply today! DVRPC is looking for a Planner/Research Analyst. Click here to view the full job listing! DVRPC is look for a Transportation Pl anner! Click here for more information. DVRPC is look for a Graphic Design and Print Specialist ! Click here for the full job description. DVRPC is look for a Transportation Modeler/Engineer! Click here for the full job description. DVRPC is look for a Project Implementation Engineer! Click here for the full job description.